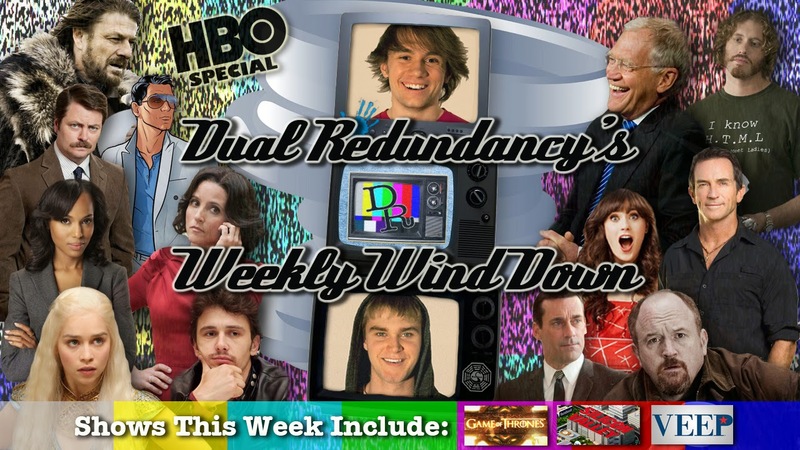 Dual Redundancy: Podcast Episode 57: Winding Down: The Premieres of HBO's "Game of Thrones" "Silicon Valley" & "Veep"
Podcast Episode 57: Winding Down: The Premieres of HBO's "Game of Thrones" "Silicon Valley" & "Veep"
In this week's special HBO episode we discuss David Letterman's retirement news (3:11), James Franco's Instagram scandal (14:22) and NBC's Comedy Playground initiative (19:55). We also wind down the season four premiere of Game of Thrones "Two Swords" (26:35), the series premiere of Silicon Valley "Minimum Viable Product" (39:00) and the season three premiere of Veep "Some New Beginnings" (51:33). Please note this episode was recored on April 8th 2014 (two days before Stephen Colbert was named as the replacement for David Letterman on the Late Show).